"Death Record - Valentin (Jr.) Stoeckel"
Birth location: Unknown, but probably in St. Clair County, Illinois. Death location: Stookey Township, Millstadt, St. Clair County, Illinois. 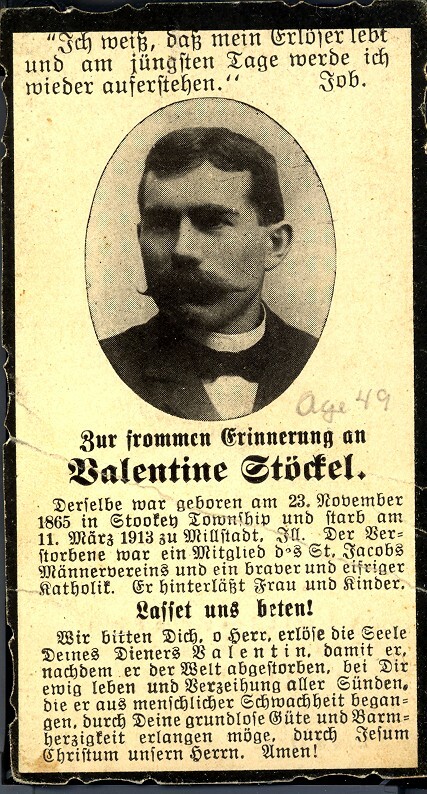 Additional Information: Click here to view a larger photograph of Valentin (Jr.) Stoeckel.